I have an Inspiron 5578 and for some reason I've been experiencing some screen scrambling. 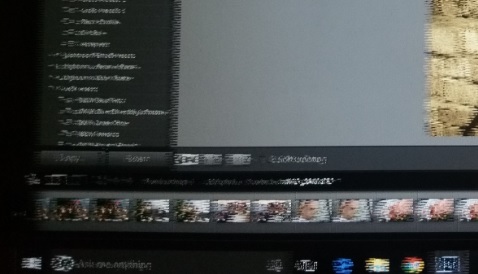 Sometimes it happens on the whole screen or just covers some part of it on the right side when I am using Excel, Word or Photoshop Lightroom. the only time you can rid of it is to restart the Laptop but it start again after while when you are using it. I also ran the LCD BIST a couple of times, couldn't find any problem with the screen. Run the self test for the video couple of times and nothing could be found. Does anyone else experiencing this issue? can anybody help? The laptop is just 4 month old. It started from day 1 but I did not take much notice I was happy to restart it but now when I am using the laptop on daily basis I am more concern that the video card will just go. Do you have an external monitor to hook up to the laptop to test the issue? What resolution is your screen set to in the Display Settings? Try changing the settings. It also could be the OS causing this to happen. You can format and reinstall Windows. It is possible this will resolve the scrambling issue. I have done some several testing and it didn't found any issues. I have plugged second monitor yesterday and didn't found any issues on it. When I have tried photoshop, or simple calculation in excel the laptop fans went really loud and the screen start blinking this time. No blurry or fuzzy issues. I am bit worried about reinstalling operating system. It is a new laptop with no CD/DVD Rom and when I purchased the laptop there were not any disks or usb with the operating system just a cable and the laptop. I am not sure how to do it without it. Can be all downloaded from Dell site? It should be in warranty,i suggest you change it. Well blurry and fuzzy screen is back!!! After all test are done. You can click the link below to download Windows 10. Also, you can click the other link to download your drivers.